Apple products are rarely targeted by hackers as they are believed not as easy to crack as compare to other operating systems like Windows or Android. Well, you may want to think again! iOS devices are now not only just hackable, but also easier to hack. According to The Hacker News (via Cult of Mac), iOS devices can now be hacked simply by opening a JPEG file. So, how does this work? 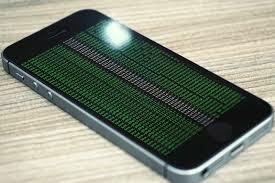 All the hacker needs to do is trick iOS users to view a malicious JPEG graphic or PDF file through a website or an email, which could allow them to execute malevolent code on your system. Once opened, the hacker is able to execute malicious code that could allow him to take full control of your device. Thankfully, the company rolled out a security patch on Monday that was rectified with the iOS 10.1 update that addressed the issue alongside other bugs. The newest iOS 10.1 also includes other security updates that address 11 security flaws in the firmware for the iPhone, iPad, and iPod Touch. The list of vulnerabilities fixed with the iOS 10.1 release includes local code execution vulnerability, a vulnerability in contacts (CVE-2016-4686), a remote code execution flaw in WebKit (CVE-2016-4677). However, earlier versions of iOS still carry the vulnerability, which is labeled CVE-2016-4673. If your devices are running older versions of iOS, you are advised to update your mobile devices to iOS 10.1 as soon as possible.